Day two and three is a trip to Scotland's capital, Edinburgh. This city boasts architecture dating back mainly from the 18th century although some are from the 17th century around King James VI era where he united the crowns of Scotland and England. 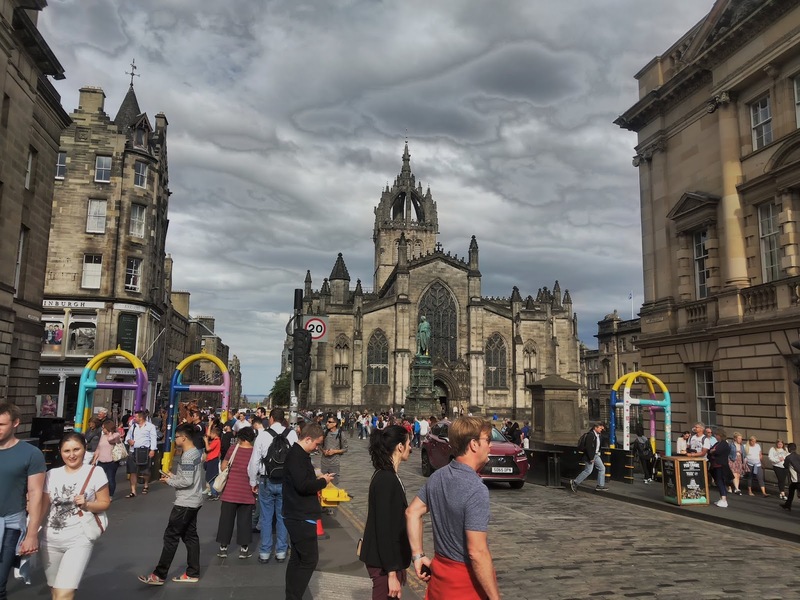 The most famous street is the Royal Mile and is full of tours, tourist shops, little eateries and Spanish people as the tours advertised are in English and Spanish. It seems the Scottish tourist board is targeting Spain or have a partnership. 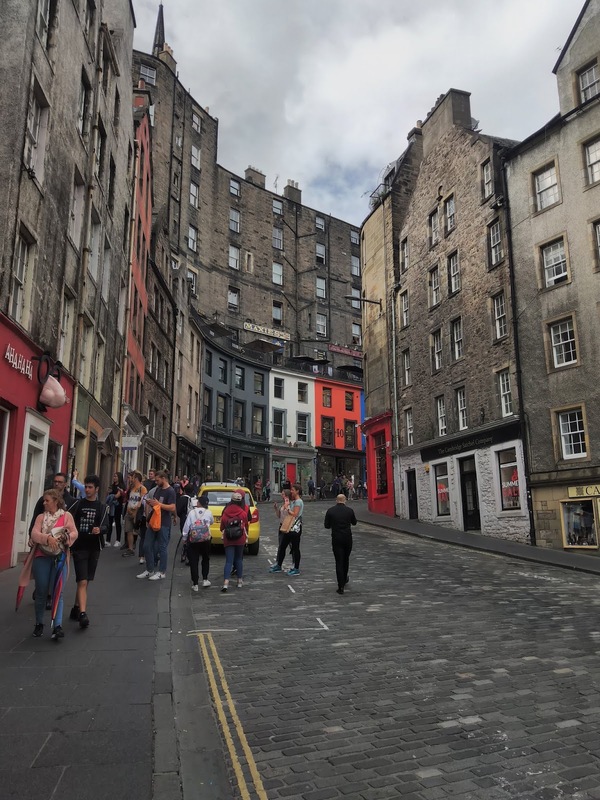 At the top of the Royal Mile stands the magnificent Edinburgh Castle where it looks as though some of the roads and alleyways could have been in Harry Potter. Alas, we didn't go in properly as it is quite a princely sum to enter but the outside and surroundings are great. There's always a piper somewhere in the Royal Mile and this one didn't disappoint. It was hard to get a video as there was a huge crowd but a little patience and you're rewarded. 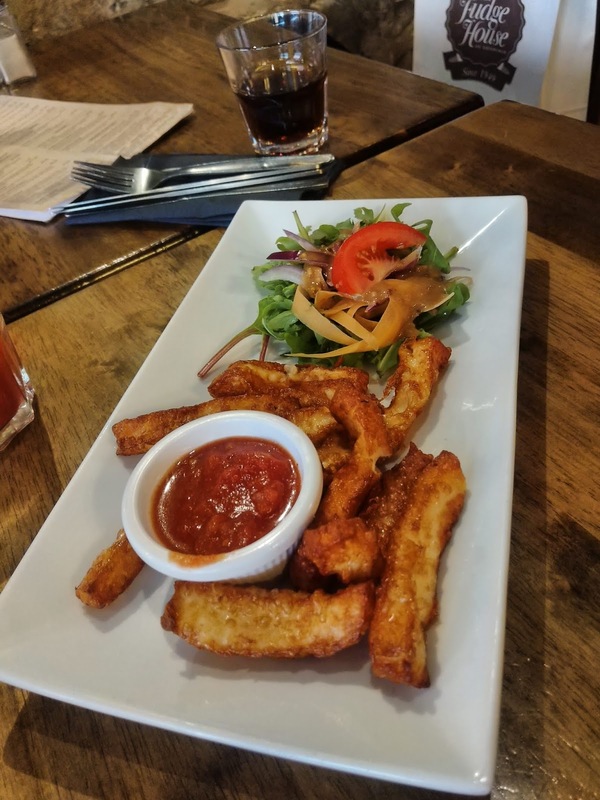 Victoria Street is the place to go for bars, restaurants and links the Royal Mile to the Grassmarket area. Its coloured buildings stand out against the grey stone and is great for pic or two. We think it has been in a few films and TV too. 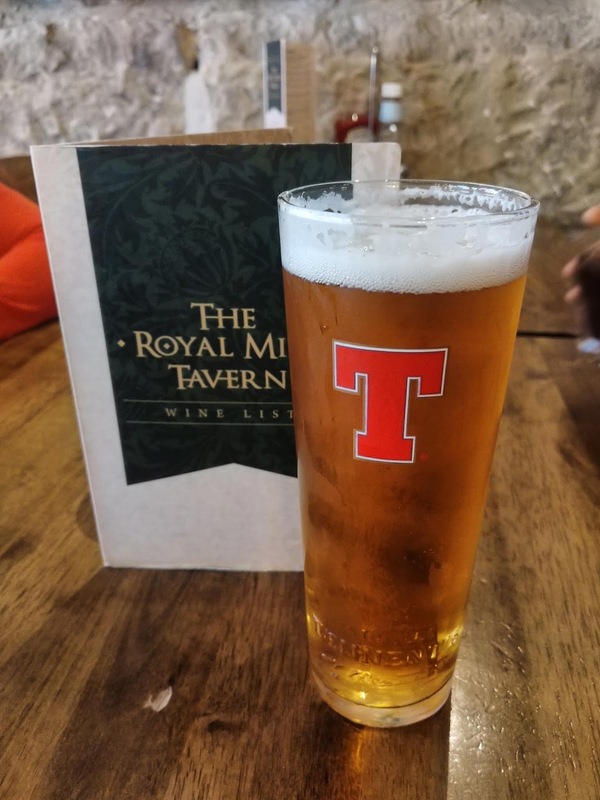 After a few hours of walking around, we stopped for refreshment in The Royal Mile Tavern with a pint of Tennent's, haggis, neeps and tatties, and calamari. 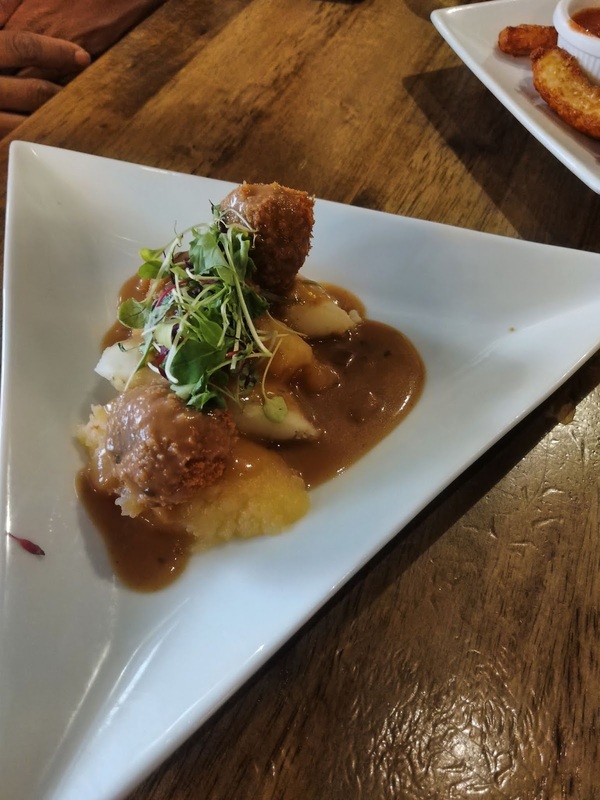 The dishes were OK and looked better than they tasted. Not all the pubs have a children's license so best check before you settle down. To stay, we recommend using Airbnb as it is a much cheaper alternative to the hotels on offer. Also, be aware if you are driving as parking in Edinburgh is extremely tricky. There are many restrictions and many a parking attendant on patrol. We were only there for one day however, if you wanted to see all the sights then you definitely need more. 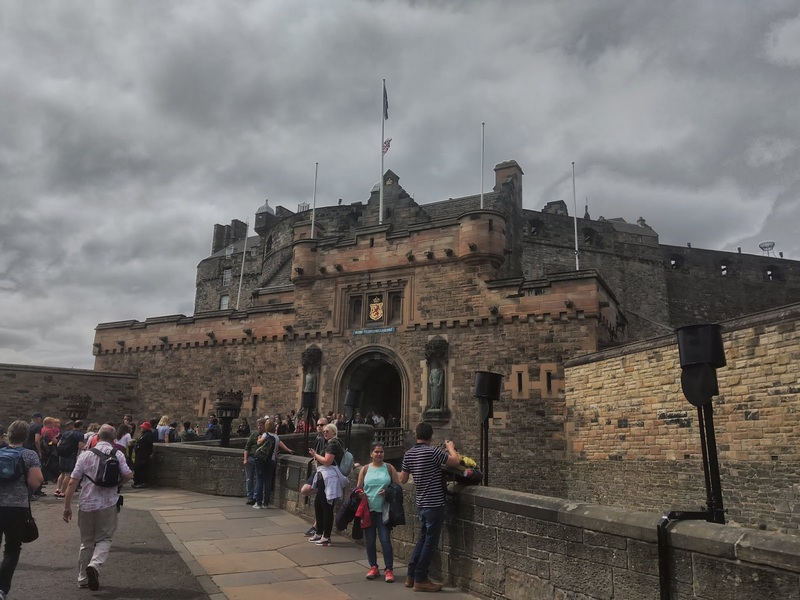 There's dungeons to visit, the castle demands more attention, the shops of which there are many catering towards the tourists and the different areas of Edinburgh.